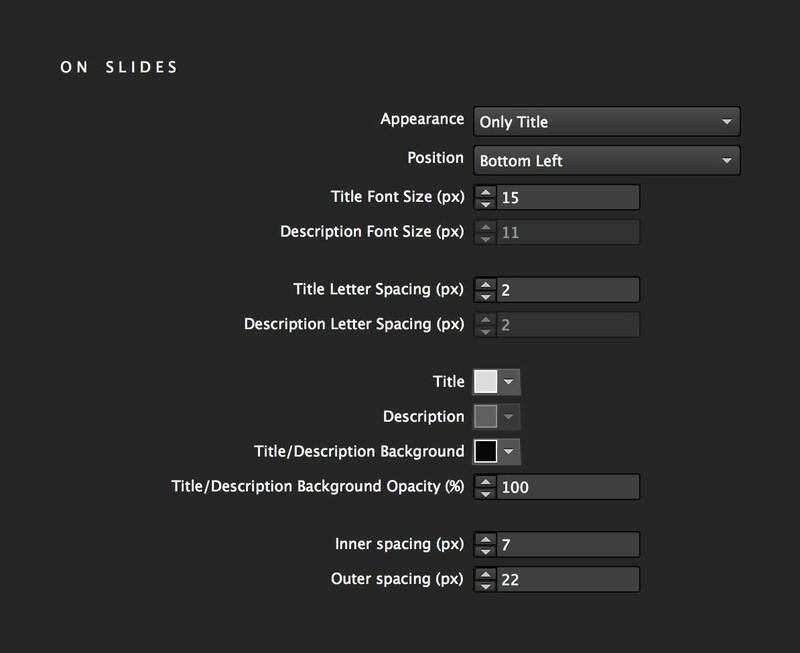 You can customize the appearance, positioning, font size, letter spacing, colors, and background opacities for both the Slides and Lightbox. Refers to the space between the title (or description) and the edge of the title's background. 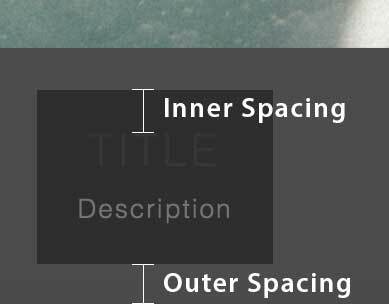 Refers to the space between the title's background and the slide's edge. Refers to the space between the text and the text’s background. Refers to the space between the text’s background and the edge of the browser. 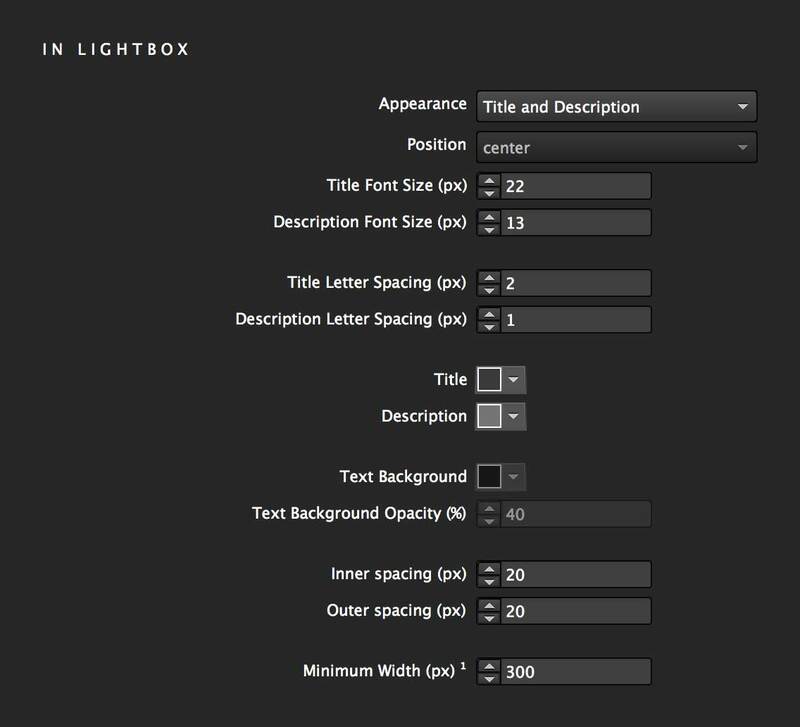 The width of the Title & Description, on the In-Page lightbox, will not get smaller than this value.